Safety and comfort. A promise to every resident. 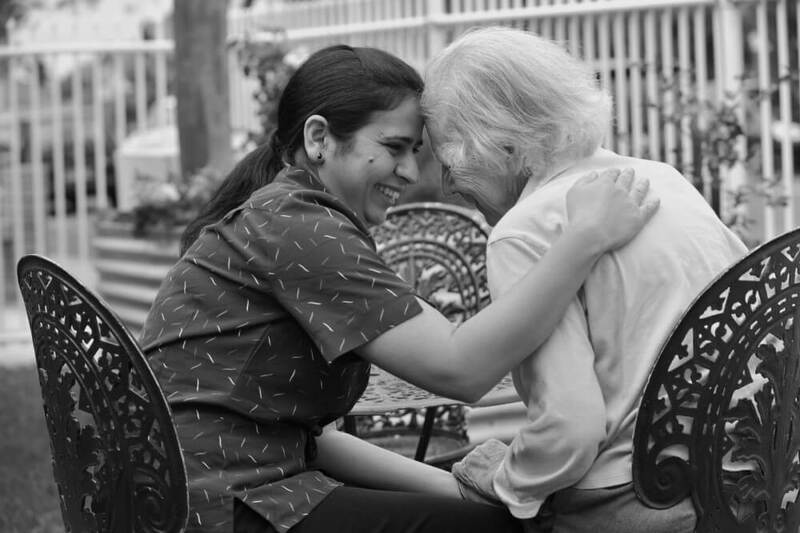 Hall & Prior believe that there’s nothing more important than the safety, care and happiness of our care recipients. They offer accommodation and health services that make a real difference to the quality of life of their residents. Empathy, respect, dignity and dedication to privacy are core values of their business. On top of this, they needed greater bandwidth and fewer dropouts so their care recipients could benefit from reliable Wi-Fi, for easy access to social media and teleconferencing to stave off social isolation. Running multiple remote connections across two states using traditional networking meant downtime was out of control. services. Since the switch, Multi-Path link merging technology has made slow and unreliable network access a thing of the past, leaving more room to focus on client care. Fast network access: a high performance data network for desktop virtualisation, voice calls, and video conferencing. Voice and video calls that just work. 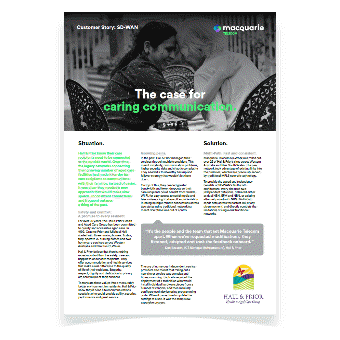 How Macquarie Telecom SD-WAN improved the lives of Hall & Prior care recipients. Hall & Prior knew their care recipients needed to be connected to the outside world. Over time, the legacy networks connecting their growing number of aged care facilities had made it harder for care recipients to communicate with their families, instead of easier. It was clear they needed a new approach that would make slow speeds, inconsistent connections and frequent outages a thing of the past. "It’s the people and the team that set Macquarie Telecom apart. When we’ve requested modifications, they listened, adapted and took the feedback onboard."